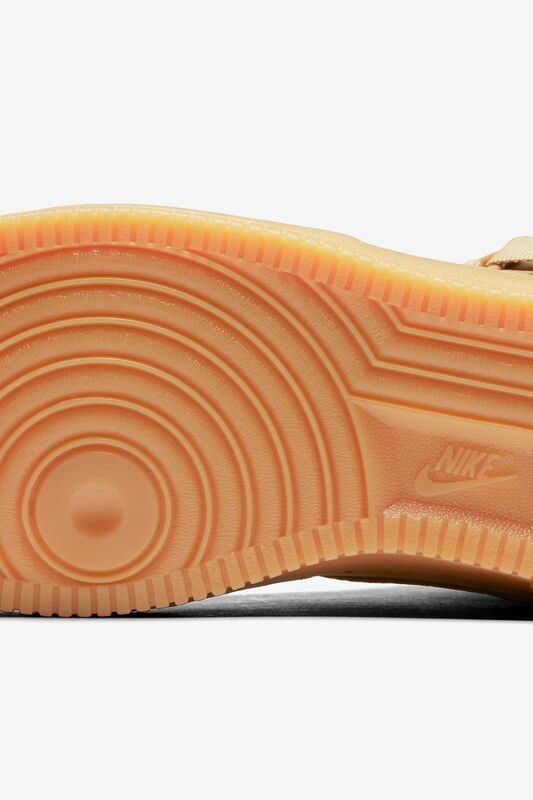 The Air Force 1 takes on a classic autumn finish. 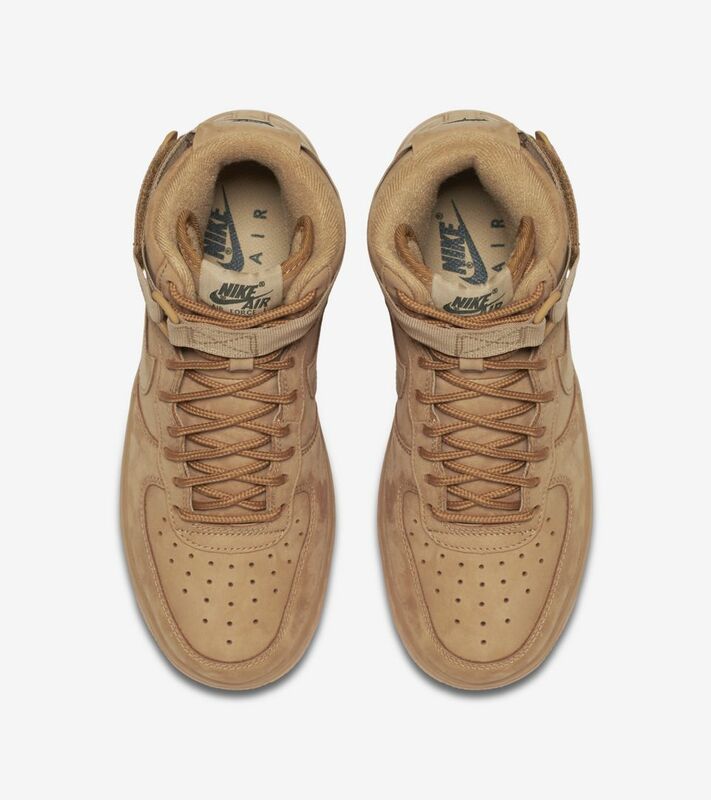 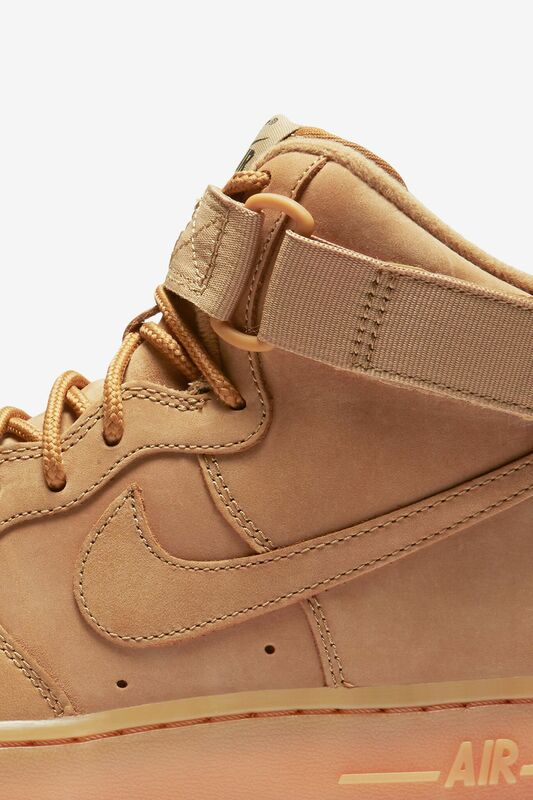 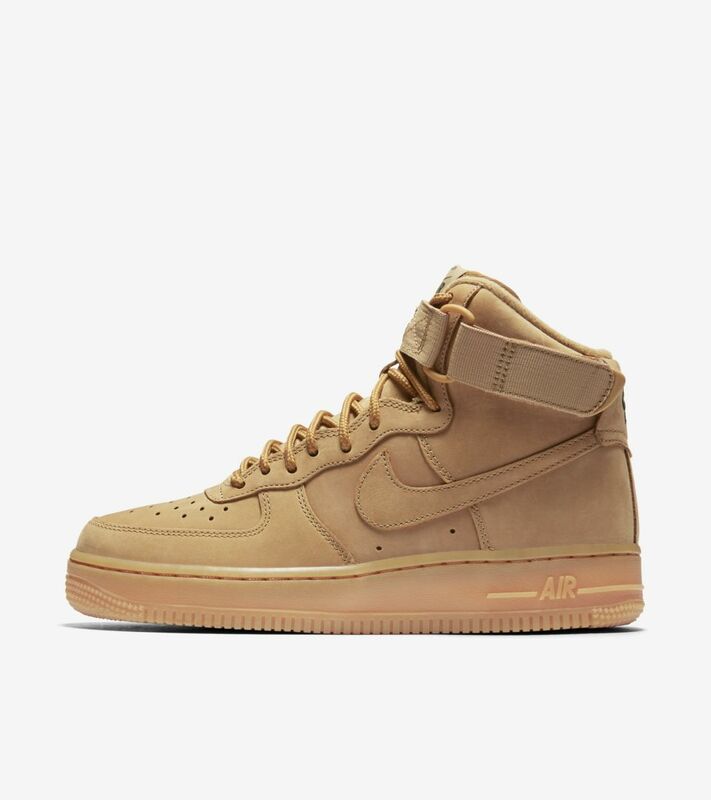 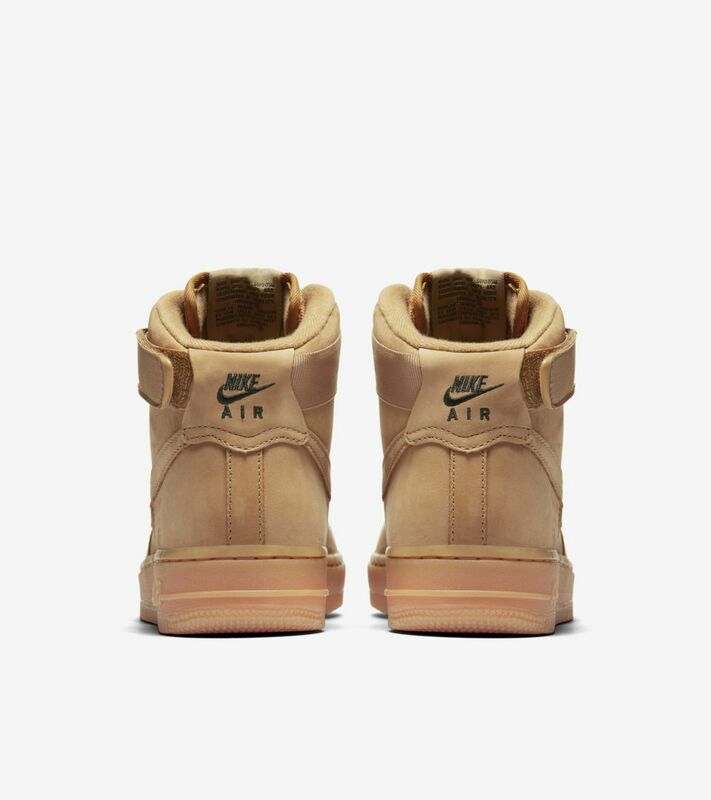 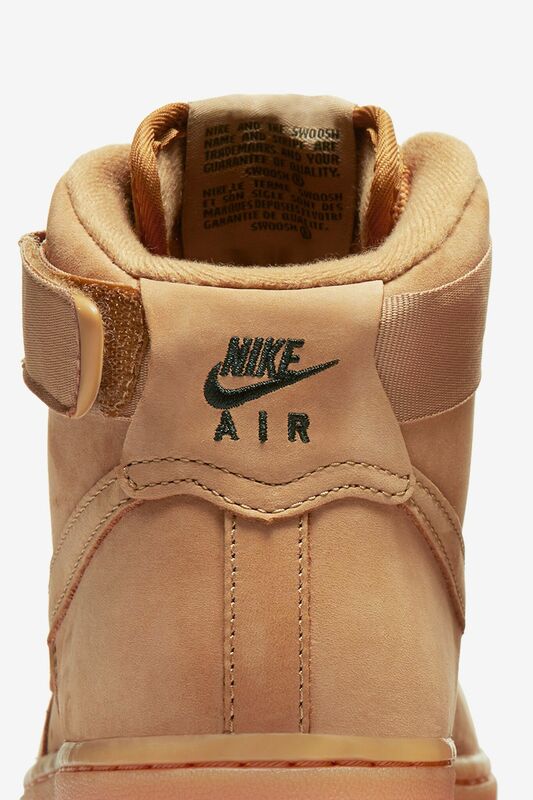 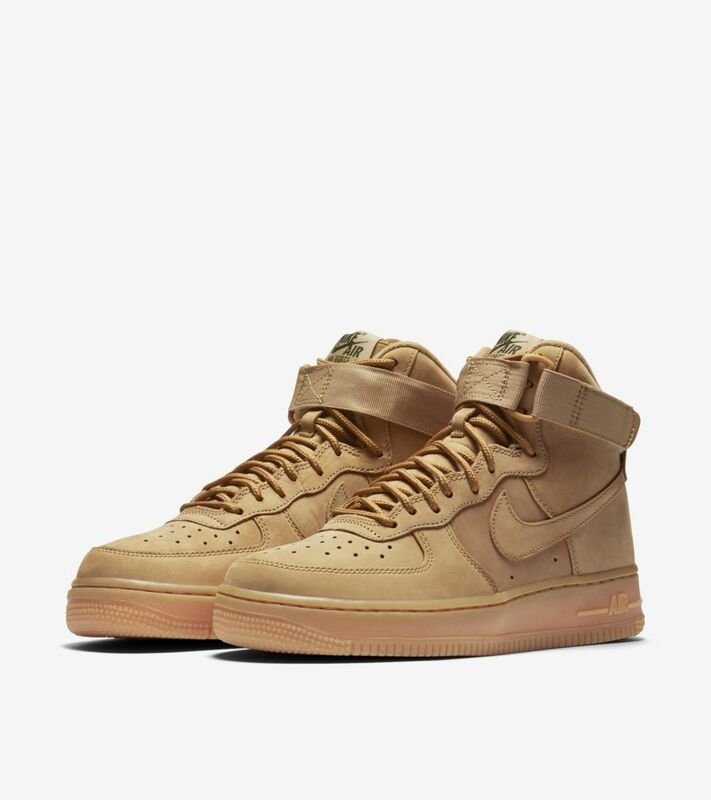 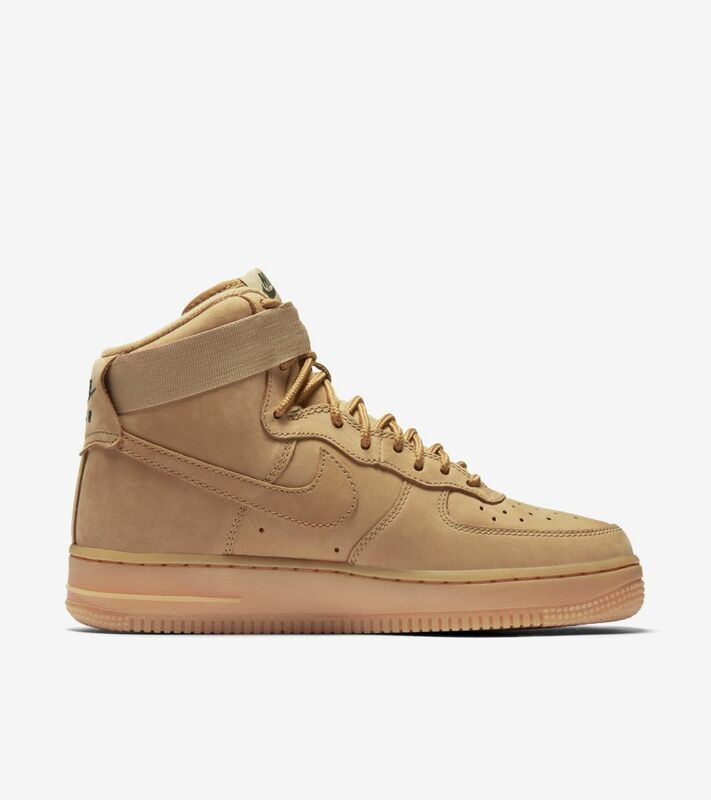 Dressed in fitting fashion, the Women's Air Force 1 Hi features a full nubuck construction in a natural-toned, Flax finish. 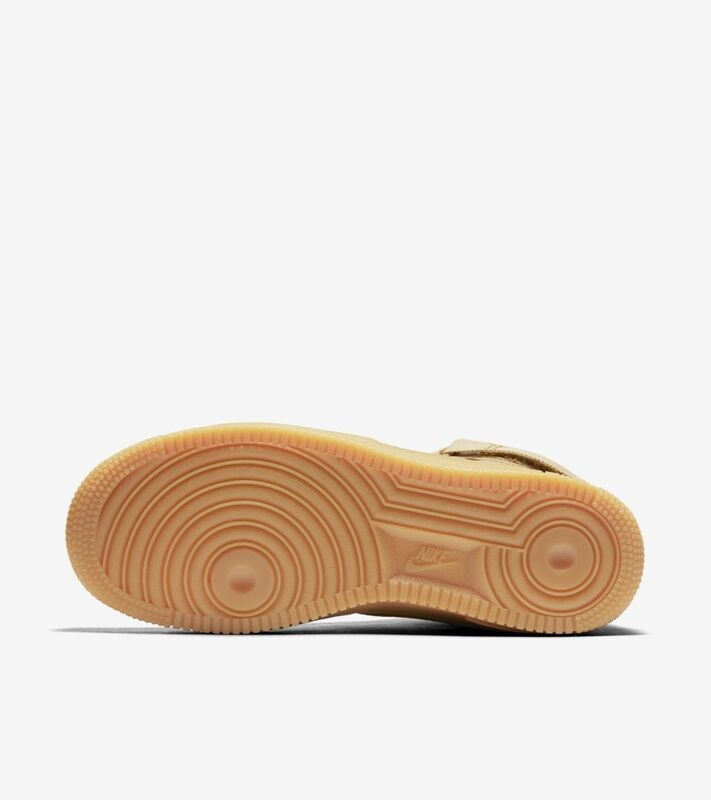 The traditional Flax design is topped with subtle, Outdoor Green accents and a classic Gum Rubber sole.